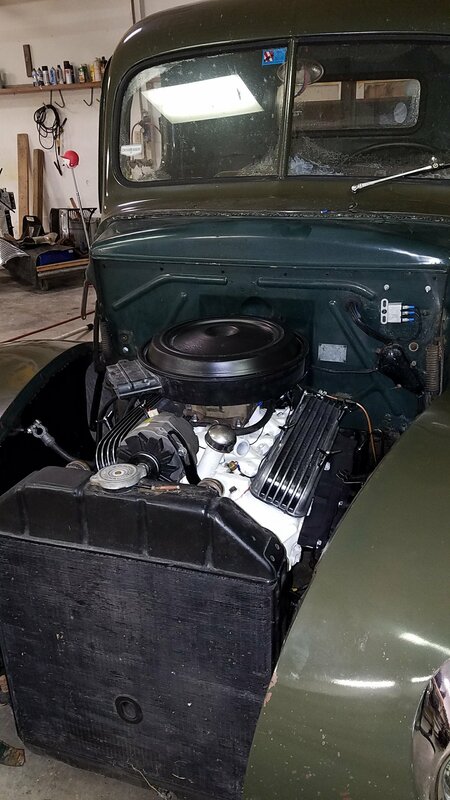 The 283 was one that Dad had planned to go in his ’32 2 Door Sedan, but I took it. He had already painted it Ford Blue, which looked cool in the coupe. Unfortunately, Ford Blue wasn’t the “right” color for the stake truck. 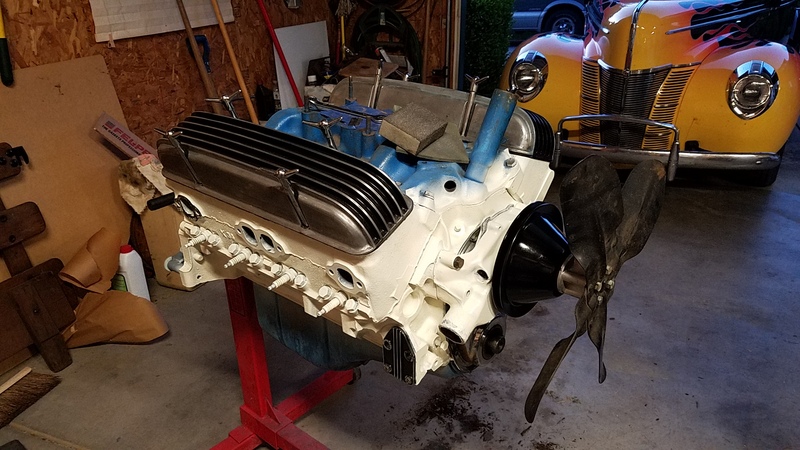 It’s been a while since I posted on the site, but it’s not because I haven’t been involved with the ’40 Fords. In fact, today makes day 162 out of the available 192 that I have driven one of the ’40s. It’s just that sometimes, I just don’t have the urge to get on the website and post updates. The ’40 Stake Truck has been under my watch since early 2012, and I have put over 20,000 miles on the old flathead. Mostly trouble free, even! However, it’s slowly been losing power, and has made it to where I could only really drive it around town, and that surely doesn’t go with my driving style. 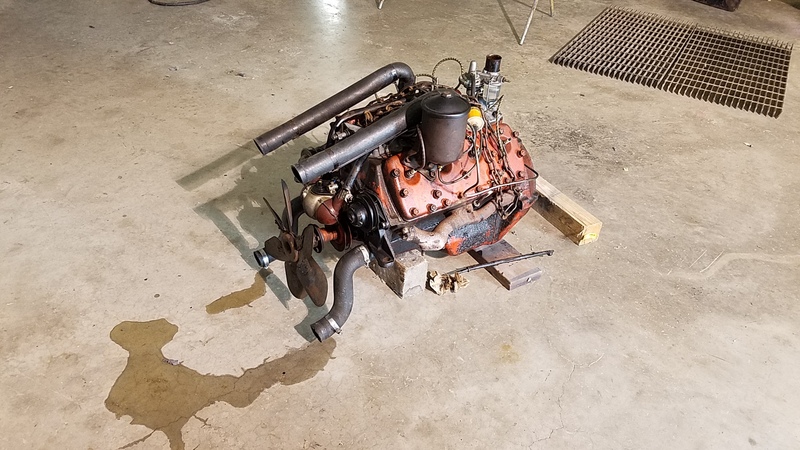 The original plan was to pull the 221 and replace it with the bored and stroked “Forgotten Flathead”, however, after thinking about it long and hard, and knowing that it really needs to be torn down and have at least one cylinder bored and sleeved, I chose to go the easier route and drop in the 283 that I pulled out of the coupe back in 2002. 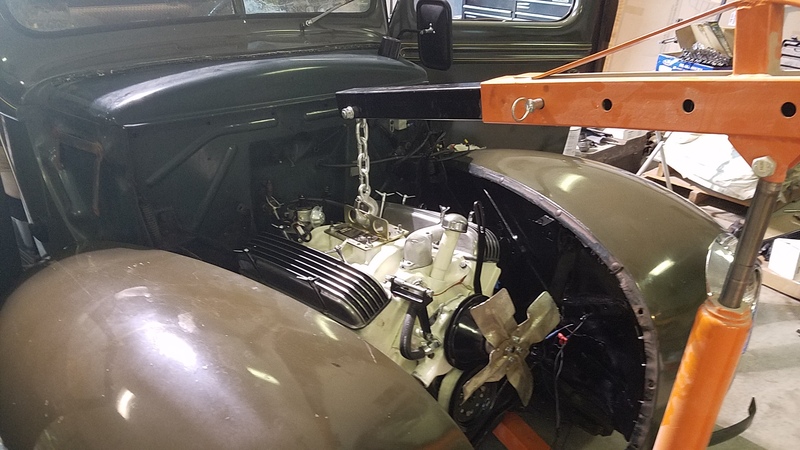 Around the end of June, I started gathering the required parts and started to get the 283 prepped for going into the truck. 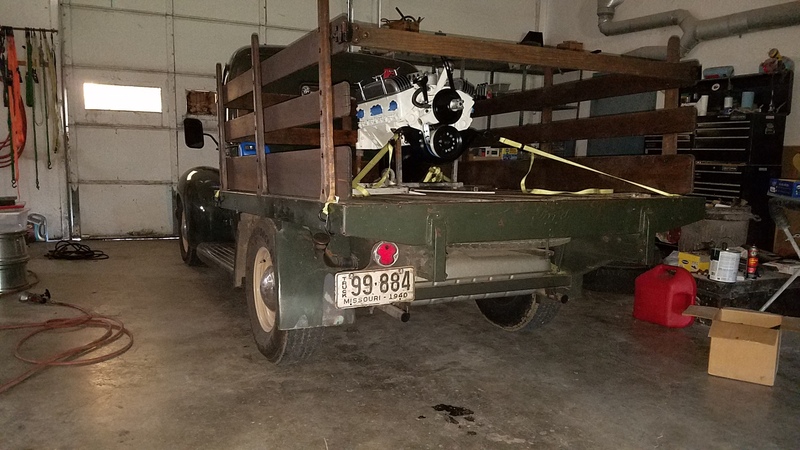 The plan is to have it all back together by the end of July, so that I can get some miles on it and possibly drive it over to the Frog Follies, in Evansville, IN, towards the end of August. 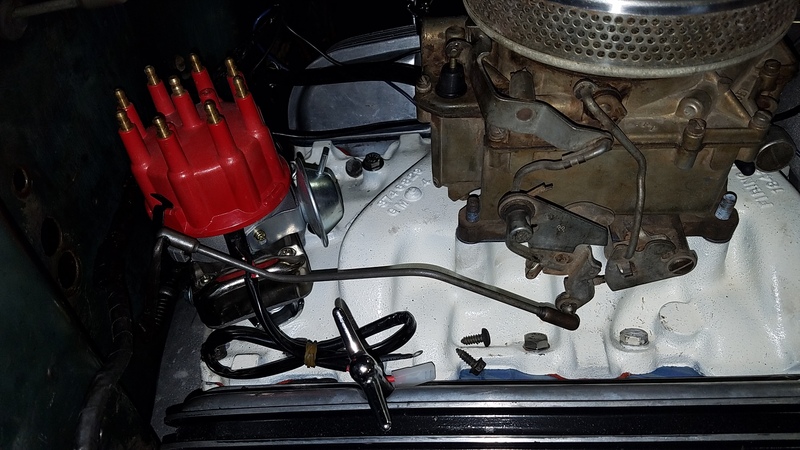 The 283 had a 30/30 solid lifter cam in it, which sounded cool, but the cam didn’t kick in until around 4000 RPMs. I sought some advice and opted to swap it with an Elgin 1785, which has a power band of somewhere around 1800-5400, well within the RPM range that I was looking for. I scored this Wilcap Adapter for a killer deal on that electronic auction site. 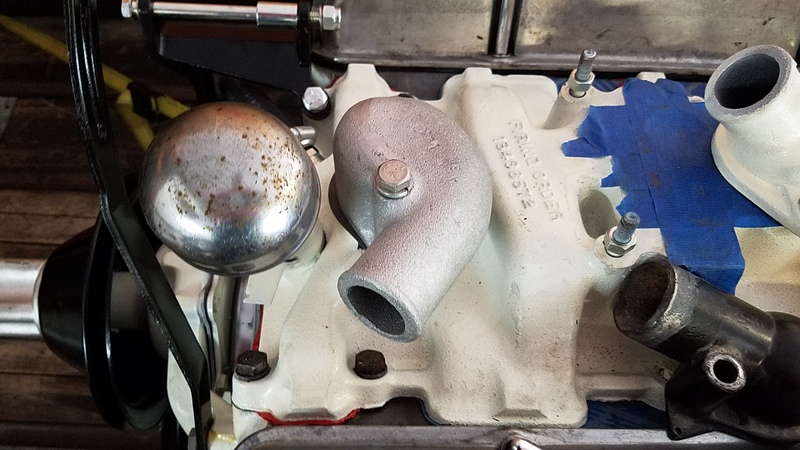 Since the 286 Flatty was painted Ivory, and since I always thought it would look killer in the truck, I decided to paint the 283 Ivory and run black brackets, manifolds, pulleys, etc. 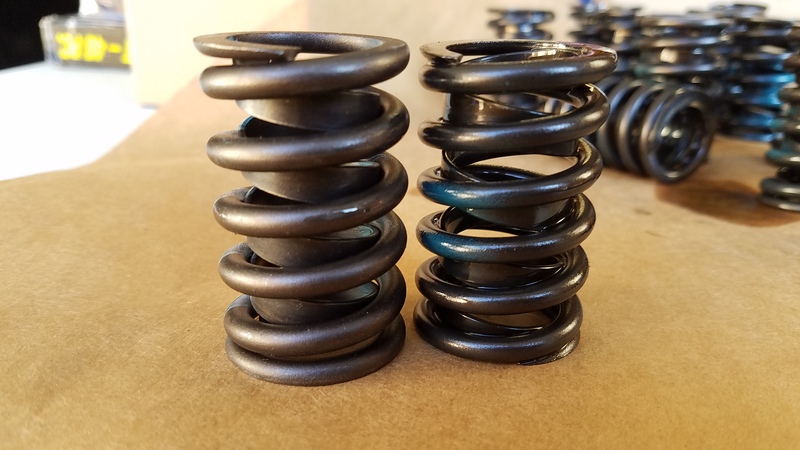 I also went ahead and swapped the valve springs. The new one is on the left, and the one I pulled out is the right. Third time was a charm, trying to get a thermostat housing that would work with the manifold and alternator bracket. 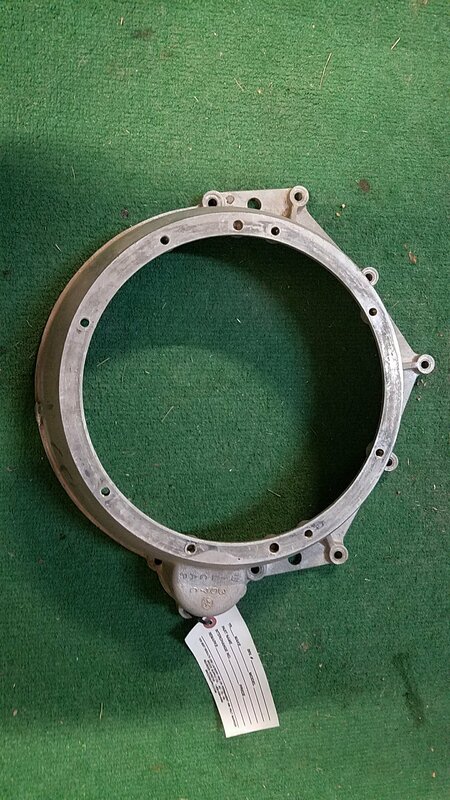 This one is kinda goofy looking, but supposedly is what was on a ’57 Corvette. Getting ready to unload the 283 at Doug’s shop. Getting the flatty ready to come out of the truck. It was so tired it puked on the floor. 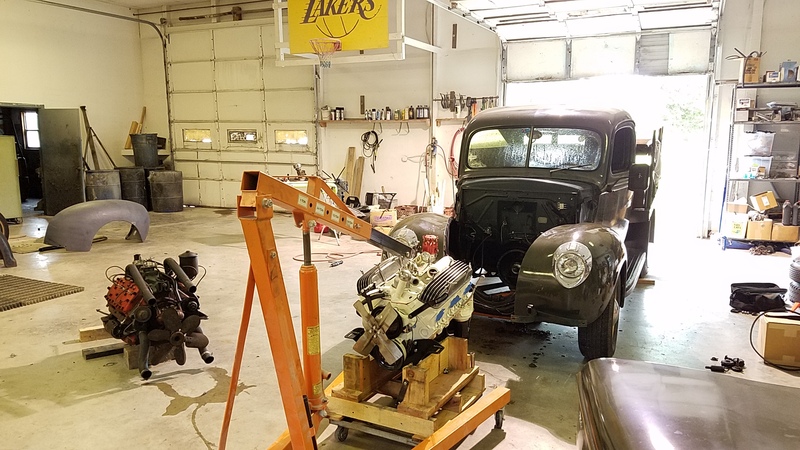 The classic photo of the flathead watching the small block Chevy take it’s place. 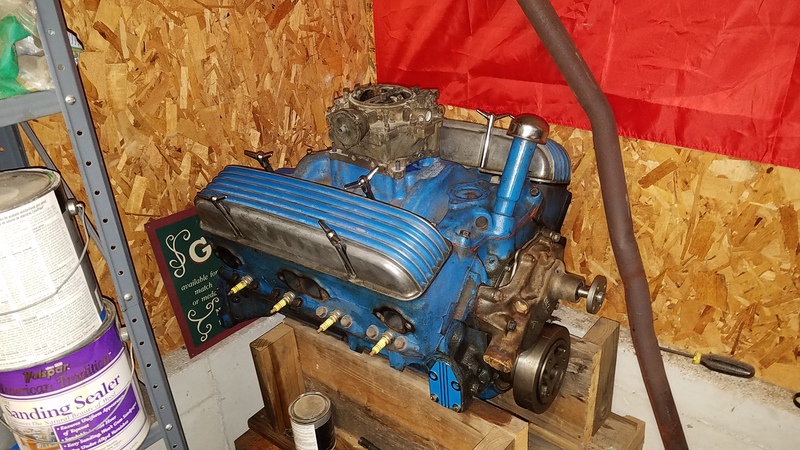 Setting the 283 in it’s place. 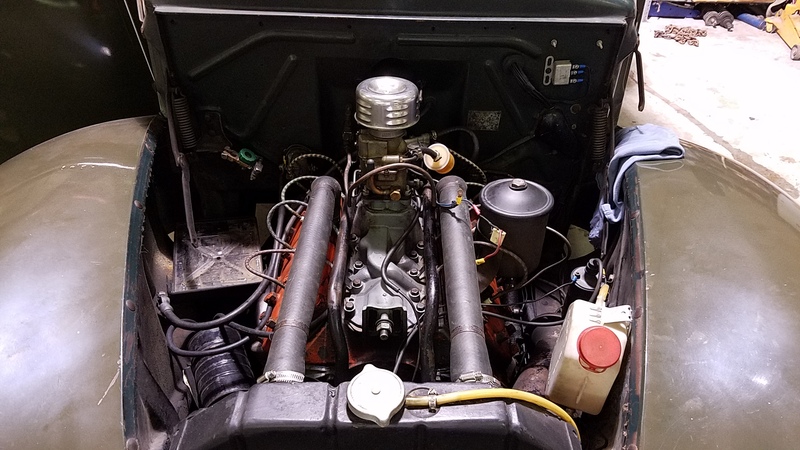 I’m running the Rochester 4GC carb backwards, using a ball stud on the “kickdown” linkage hole, and using the stock ’40 gas pedal and throttle linkage. Posing with one of the air cleaners that we took off of Dad’s ’34. And this one is an ’80s air cleaner that I borrowed from Mike Meeker. Still trying to decide which one to use. 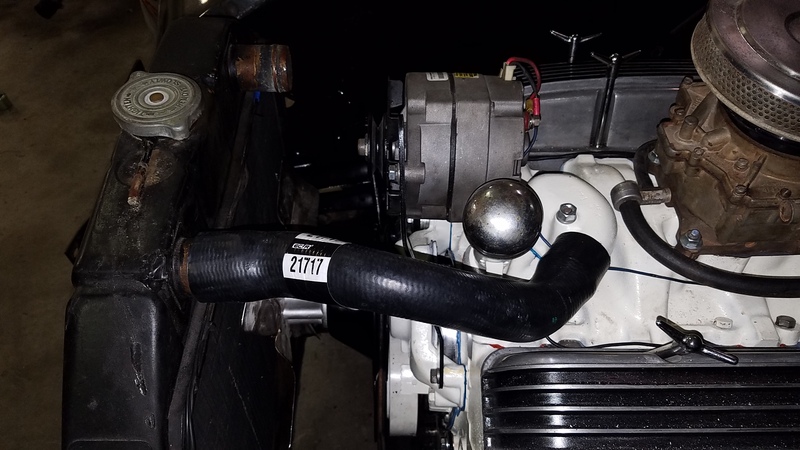 One of the fun challenges, swapping engines, is finding radiator hoses that look good and will have the correct bends to work. After spending a lot of time looking through the Gates catalog, I found this one! 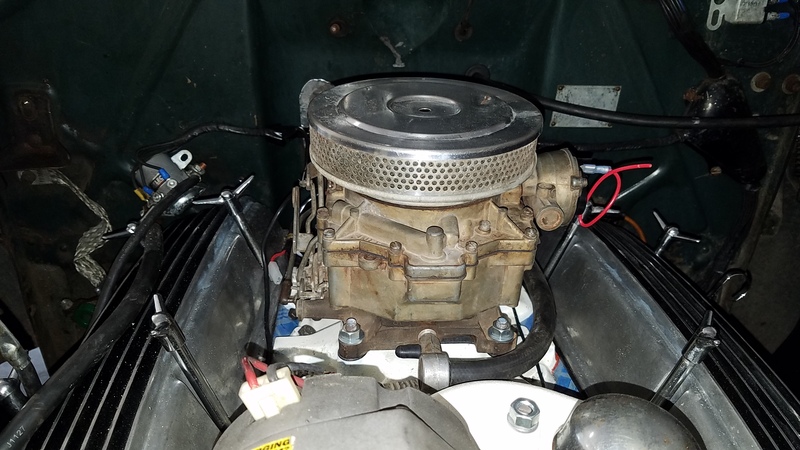 I cut off a 90 degree bend on the engine side, and it fit great! I still have a list of things to finish up before we can fire it up and break in the cam, but it’s getting closer. 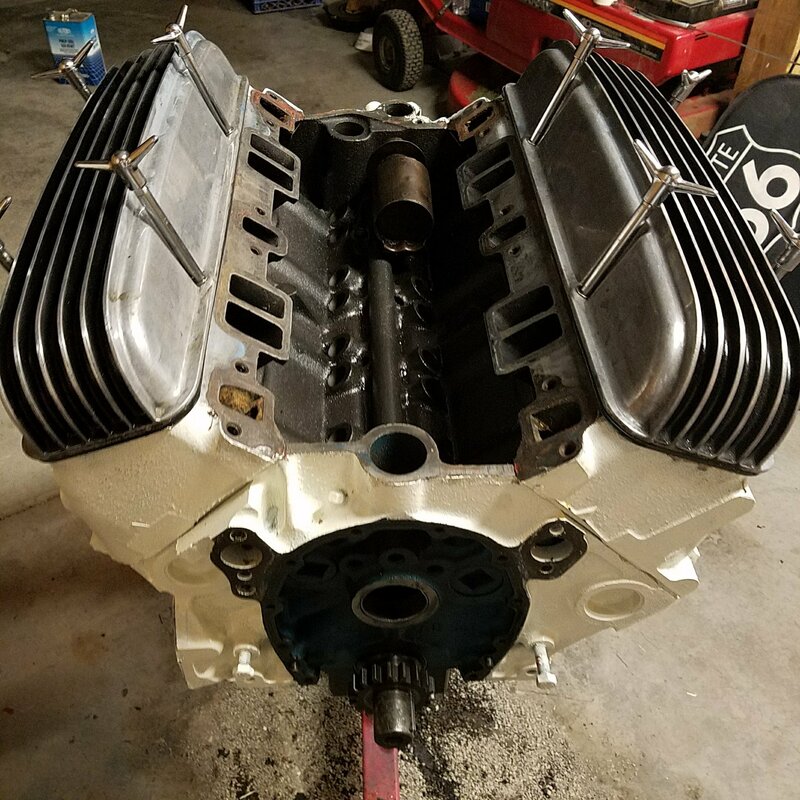 Hopefully I can get some time to have everything ready to fire it up and run in the cam this weekend.